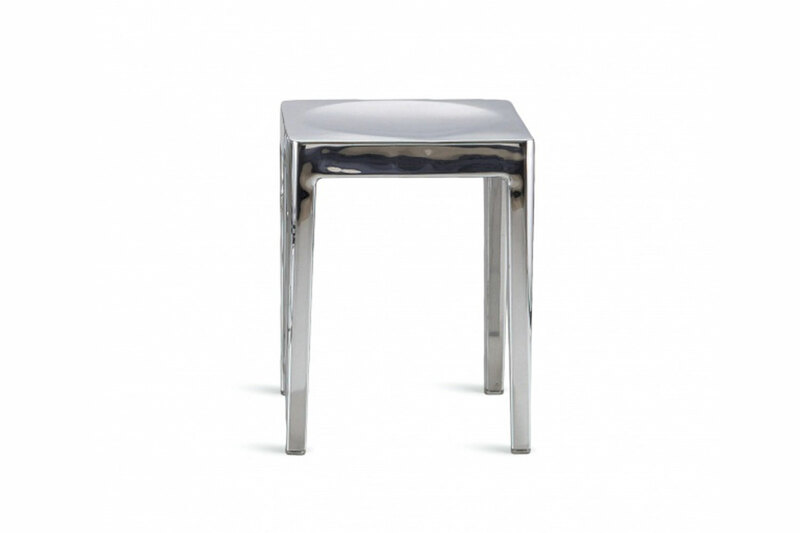 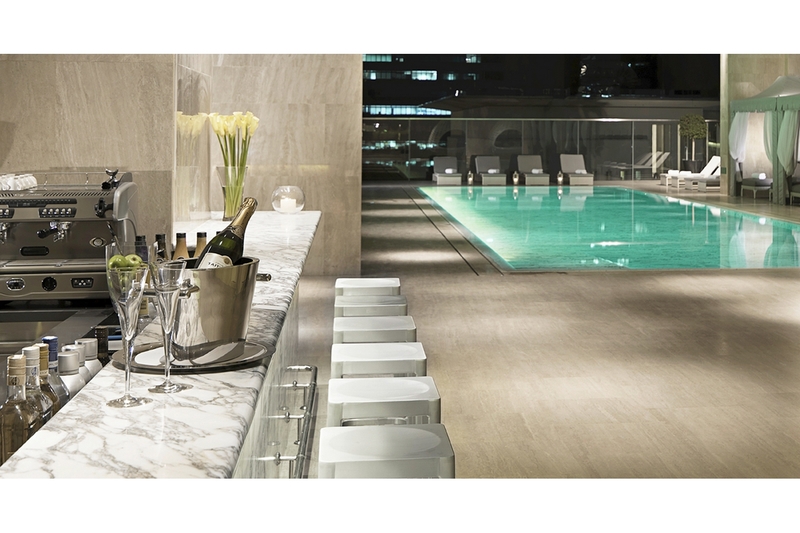 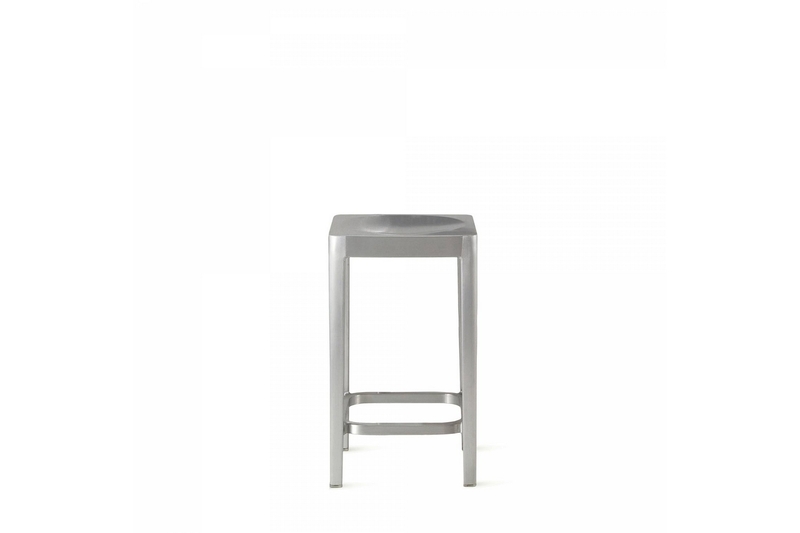 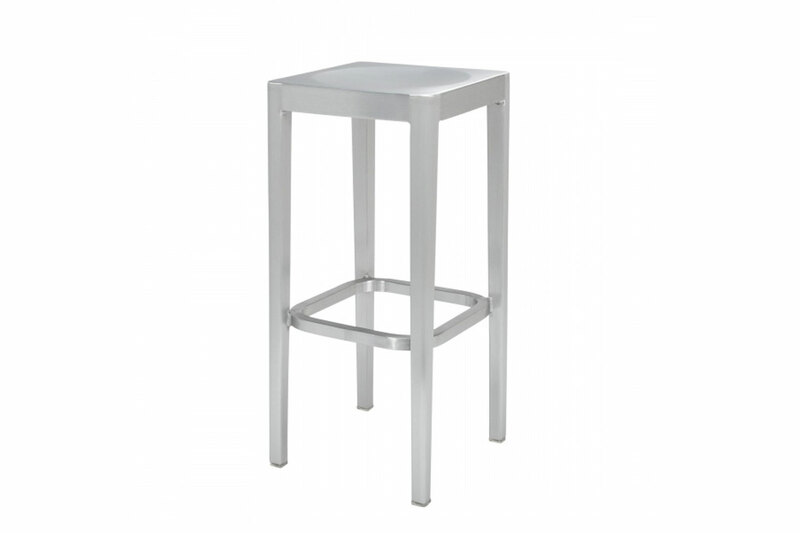 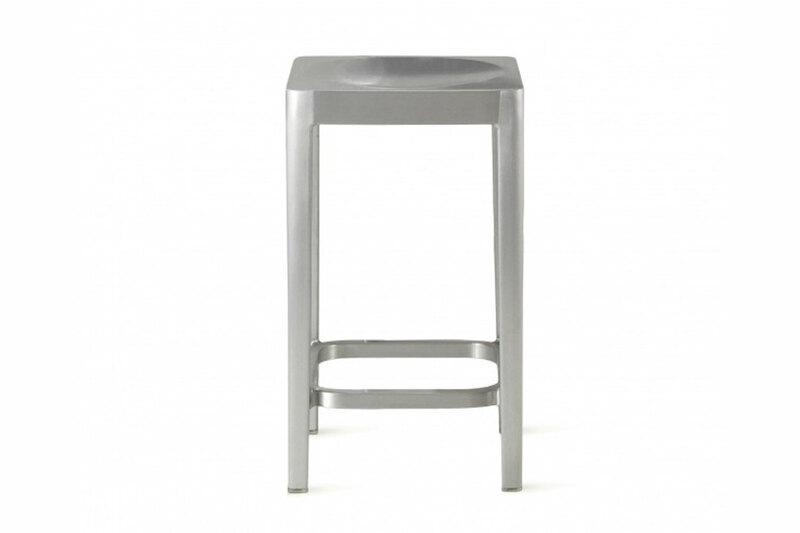 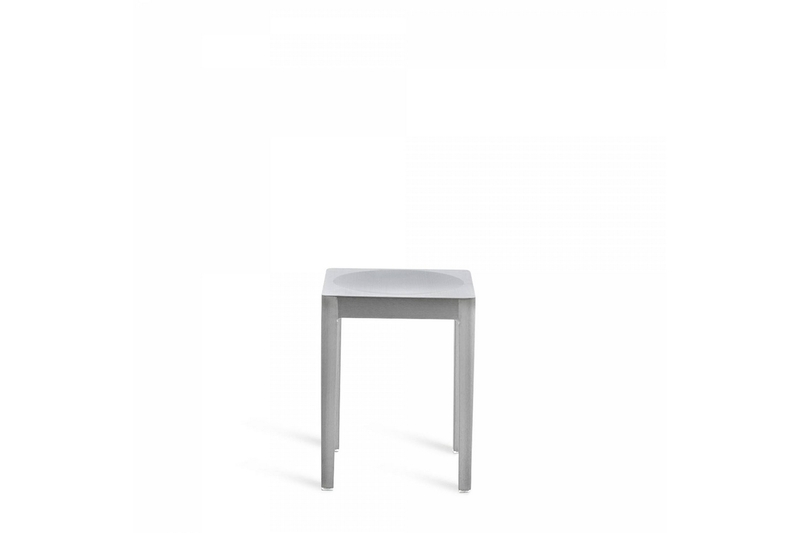 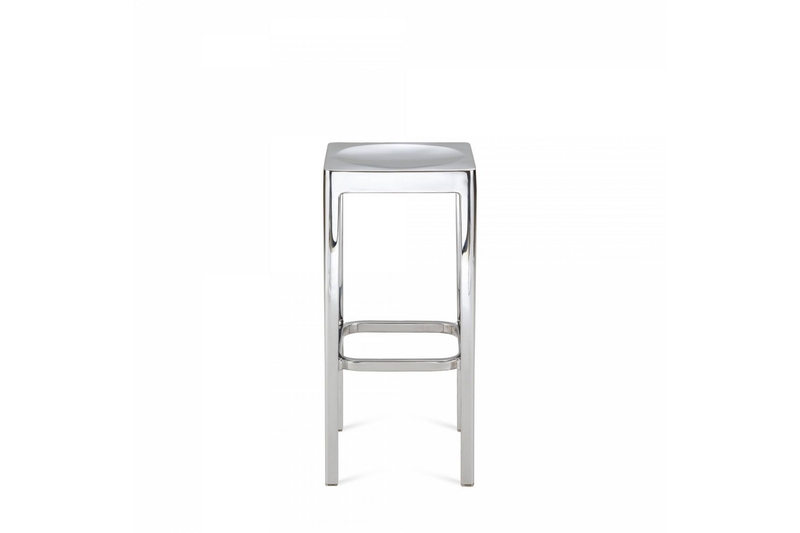 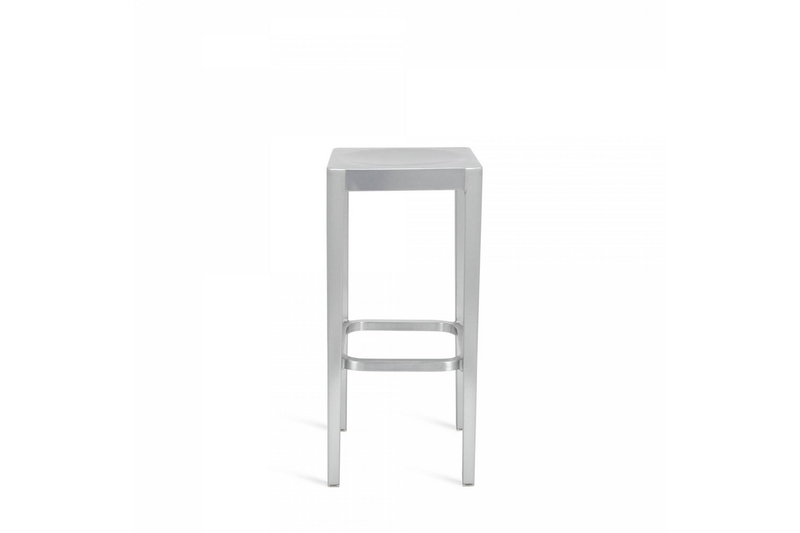 Designed by Philippe Starck, the Emeco Stool is constructed entirely in hand brushed and hand polished recycled aluminum. 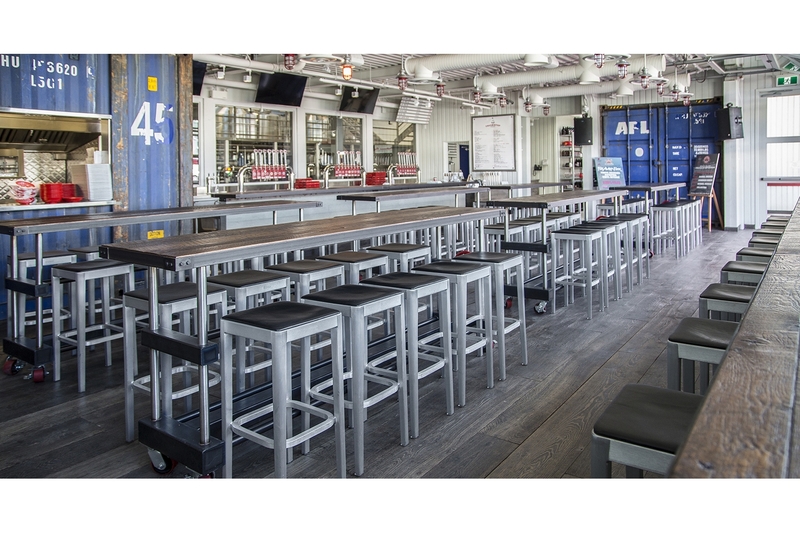 It can be easily recycled, repurposed, and reused in addition to being long-lasting and corrosion resistant. 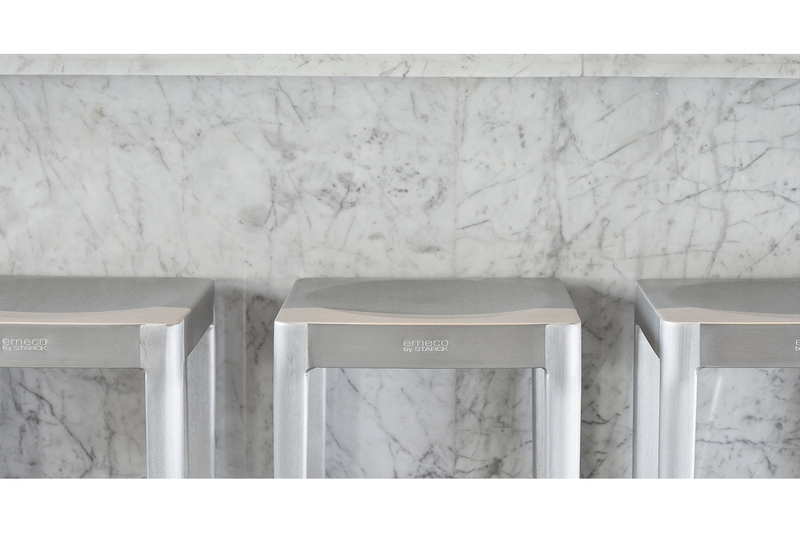 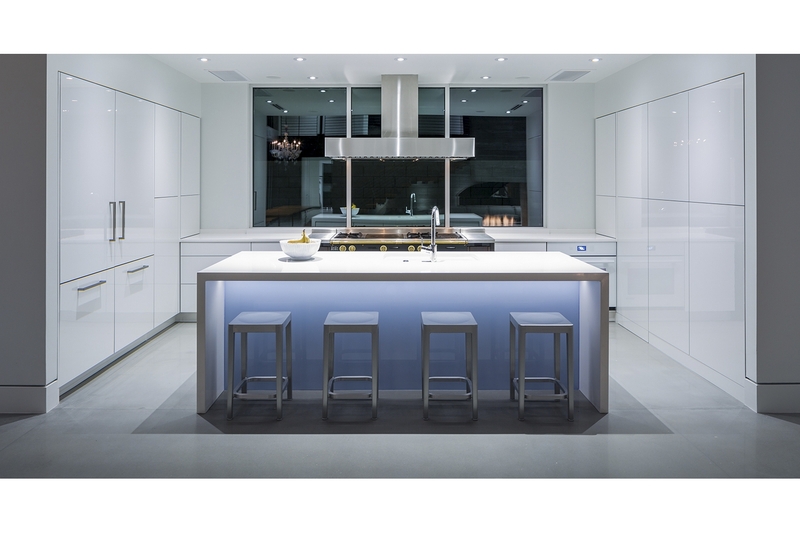 In 2001, it has been chosen to be part of the Mies in Berlin Exhibit at MOMA New York, where it was polished and placed in the exhibition, becoming an instant hit thereafter.